AutoCAD Electrical is the Electrical Layout Designing Software and an integral part of Common AutoCAD, which is a commercial computer-aided design (CAD) and drafting software application. 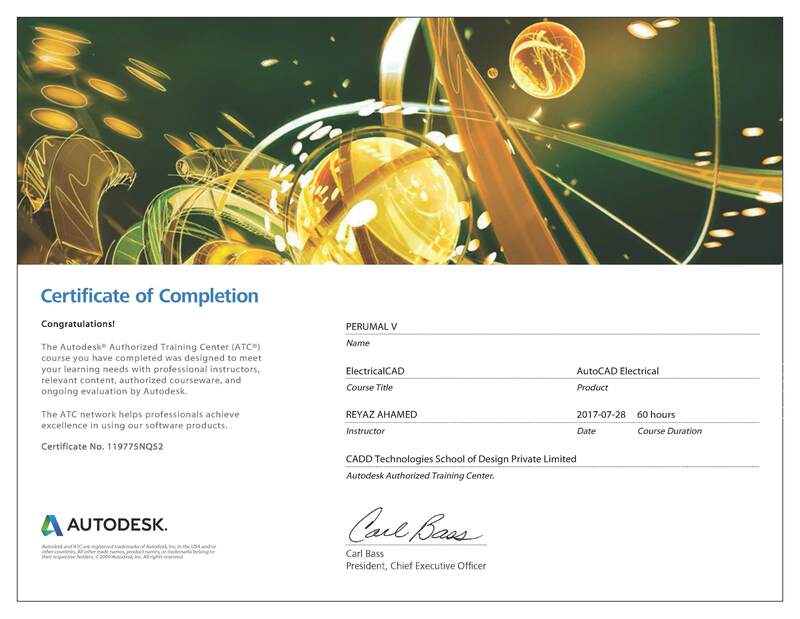 Developed and marketed by Autodesk, AutoCAD was first released in December 1982. Design and shape the world around you with the powerful, connected design tools in AutoCAD software in 2D, which in turns helps to design and create a layout related to Electrical and Industrial Applications as per the requirement and to connect with the cloud to collaborate on designs and access them from your mobile device. Entire program carries 2D drafting, modelling and other design applications. Students pursuing diploma and degree programs in Electrical and Electronics can enroll in this program. Updating and Retag Drawings, Inserting , Breaking & Editing the Components, PLC Components Editing, PLC Database File Editor. Creating the Reports - Bill of Materials, Missing Catalog Data, Components Informations, Input Signals and Output Signals, Importing the report on Drawing. Panel Layout - Inserting the Footprints from Icon Menu , Inserting the Footprint from the Schematic List, Manufacture list, Editing the Panel Footprints, Terminal Strip Editors. Plotting and Publishing the Layout designing and Report. Students will become familiar with Auto Cad's two dimensional drawings. 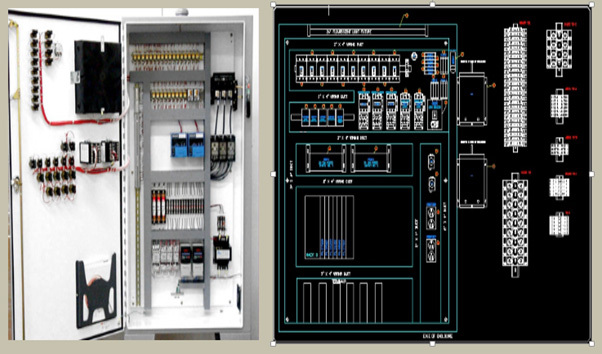 Controls Design using standards-based drafting and PLC I/O tools; Automatic Report Generation and organization of Files and Project, Real Time Error Checking, Schematics symbol Librarie.